Once influential NZ economist Wolfgang Rosenberg recently died, he was 92. Born in 1915 in Berlin, Wolfgang Rosenberg was the son of a lawyer and prominent Social Democrat. During the early '30s, young Wolfgang was active in the anti-Nazi movement through his membership of Socialist Youth, the Social Democrat's youth group. Rosenberg came to NZ in 1937, but according to Victoria University's "Salient" No 4, 1968, had previously spent two years in the Soviet Union. Rosenberg studied accounting part time at Victoria University and mixed with the communist and radical set. Victoria student politics, at the time was dominated by the Socialist Club-the student wing of the Communist Party. Roenberg served on the student exec from 41/43 alongside well known Socialist Club and or Communist Party members as Jim Winchester and Maurice Boyd. Anne Eichelbaum also served on the exec that year. The couple married in 1945. Anne Eichelbaum is believed to have been a Communist Party member. Certainly her sister Cath was a "card carrier". Cath married unionist Pat Kelly and the pair stayed in the party until they were expelled in 1970. Wolfgang Rosenberg was also active in the group that ran the Wellington Co-op Book Society and he served as accountant to the Wellington Progressive Publishing Society in 1943. In this environment, he mixed with Party members such as Bart Fortune, Jim Winchester, Ron Meek, Les Verry (later prominent in the parliamentary press gallery)and Jack Lewin. Other notables in this set, included, WB Sutch, Ian Milner, future Labour MP, Martyn Finlay, future diplomat Ray Perry, businessman Fred Turnovsky and professor Fred Wood of Victoria University. Rosenberg spent 1944/45 in the Airforce. In 1946, Rosenberg joined the Economics Department at Canterbury University, where he remained until his retirement in 1980. In the late '40s Rosenberg was a regular contributor to the leftist glossy magazine "Here and Now". While not strictly a Party publication, many prominent communists wrote for the magazine or served on its board; They included Sid Scott, Shirley Smith (wife of WB Sutch), Bob Lowry, Willis Airey and Jack Lewin. David Ballantyne (a probable Party member, married to a Communist), also contributed. Ballantyne also wrote for the Communist Party's "People's Voice" under the pen name "Tom Joad". Wolfgang Rosenberg allegedly regularly contributed anonymous articles on economic topics to "Peoples Voice" during this period. In 1952, Rosenberg attended the Soviet front, World Peace Council's "World Peace Congress" in Vienna as an observer. He was in Austria working a stint at the Bank of International Settlements at the time. While not overseas, Rosenberg was, in the early '50s, vice president of the Canterbury University Socialist Club. Again, this was the student wing of the local Communist Party. Several communist aligned student Socialist or Labour Clubs were joined in the "Student Labour Federation". A 1955 SLF document I saw states that, (AH) Scotney, (Wolfgang)Rosenberg, (WB)Sutch and (Warren) Freer (later a Labour cabinet minister) were asked to contribute articles to SLF publications. The Canterbury Socialist Club fizzled out in the late '50s, so Rosenberg set up its replacement, the "New Left Club". The NLC was influential at Canterbury in the early '60s and many well known NZers passed through its ranks. Some, like businessman Alan Gibbs and the NBR's Nevil Gibson, saw the light. Others like Paul Piesse (now leading the Alliance Party), Keith Locke, the late Bruce Jesson, Trotskyist Owen Gager, "economist" Brian Easton and Michael Cullen, did not. 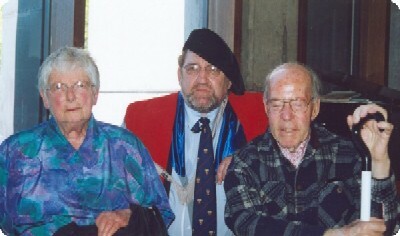 Through the '60s, Rosenberg was Honorary Secretary of the leftist magazine, NZ Monthly Review society. In 1963 Rosenberg worked for the UN's Economic Commission for Europe. He visited the Soviet Union, Hungary, Poland, the GDR, Romania, Yugoslavia and Czechoslovakia. For many years NZ Monthly Review carried regular articles extolling the virtues of the central economic planning observed during Rosenberg's several trips to Eastern Europe, China and North Korea. In 1972 he wrote a book (with a foreword by WB Sutch),"Import Controls and Full Employment . . . Or Else! ", published by the NZMR Society. The same year Rosenberg took 6 months sabbatical to visit China, North Korea and Albania. Rosenberg was active in every leftist cause going, from anti-Apartheid, anti-Vietnam war protests, Council on Civil Liberties, CND etc etc etc. However increasingly he became focused on promoting his idea of heaven on earth-North Korea. In 1974, with Don Borrie and several Maoist students from Wellington, Rosenberg founded the NZ/Democratic People's Republic of Korea Friendship Society. Rosenberg visited heaven on several occasions and also hosted delegations of "angels" to this country. Rosenberg's philosophy, which he held in common with economists like Sutch and to a degree, with Brian Easton and his comrades from the "Campaign Against the Foreign Control of Aotearoa" , was one of "socialism in one country". This doctrine was developed by Stalin, improved by Mao and refined to near perfection in North Korea's "Juche" or "self reliance" philosophy. Trotsky believed in free trade and a constantly moving, world wide revolution. Stalin and his heirs, Mao Kim Il Sung and Wolfgang Rosenberg, believed in central planning, near complete self reliance, the "fortress economy" and insularism. Paradise must be built, country by country, one step at a time. Revolution could only be exported from a rock-solid foundation. Free trade and the open economy was anathema to Wolfgang Rosenberg. The free market reforms of the 1980's pained him grievously. "The Wall contributes to peace in Europe and to successful economic and social development in the GDR." "one of our unsung heroes". Maybe a Kim Il Sung hero? Well done and thank you Trevor, I haven't got access to my material on Rosenberg's statements over here in London - his statement about how wonderful Pyongyang is compared to Ngauranga Gorge, Wellington, because of the traffic makes one question his sanity. How can someone be so willfully blind? It is as blind as faith that all those you've always supported can't possible be wrong or evil. Keep pulling yourself Loudon. See what your own life ads up to compared to all those you do your little wall lavatory scribbles about. At leat Trev isn't a lickspittle of evil anon. Rosenberg was a flake as a lecturer, too. The economics history paper he ran was regarded as a breeze. Who ever heard of anyone who failed it? Before coming to NZ, Rosenberg had clearly moved left from the Social Democrats, who are roughly equivalent to our Labour Party.